(and how not to muddy the waters between the two). Even though your Divine Soul purpose and Divine Soul mission interconnect, their difference can be subtle. They’re so intertwined, it’s easy to muddy the waters between the two. When you do, that makes for spiritual confusion, which can make life messy. However, if you zoom in on them like you would a digital photo on your phone, you’ll see they’re two distinct parts in the four vital essentials to living the fulfilling life you came here to live. When you do remember, you live your life with an authenticity that’s in alignment with your Divine Soul’s truest nature. A deep sense of fulfillment and inner peace become your new norm. Clarity becomes your new beacon. Confidence that you can face any challenge is your new headset. When you confuse the difference between your Divine Soul purpose and your Divine Soul mission, it can cause frustration and a lot of wasted energy. I see clients all the time who fall into the traps of that confusion. They’re not alone. That’s what I did for the longest time, too. After wasting a lot of time and money going in circles, my ego-intellect finally LET GO of its interpretation of my Divine Soul purpose and mission. That’s when the juicy good stuff started happening. This article can save you from going in circles, too. Based on my own experience—as well as my clients’—this is what happens when you do let go of your ego-intellect’s interpretation of your Divine Soul purpose and mission. Your ego-intellect gets with the program of remembering to let curiosity guide you. That’s key! Your Inner Critic calms down. You learn to ask better questions. You listen within on deeper levels to hear the answers. You follow that inner guidance despite appearances to the contrary… and you reap the rewards as a result. Your Divine Soul purpose and Divine Soul mission become clearer. Concrete and fulfilling results follow. Since we’re infinite beings, it’s an ongoing process. You can go as deep as you want to go… and stop wherever you want, for as long as you want. If you’re not ready to know the answer, you don’t even think to ask the question. If you don’t ask the question, you don’t discover the answer, right? So give yourself some kudos for asking the question that led you here. 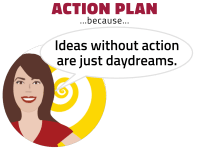 Give yourself gold-star credit if you let your curiosity bring you new illuminations, especially if you do the personal action plan at the end. And please DO hang with me until the end! This article isn’t short, but it WILL help to create the right mental foundation, which makes all the difference in the world to remembering and fulfilling both your Divine Soul purpose as well as your Divine Soul mission. What’s the difference between a Divine Soul Purpose and Divine Soul Mission? If you’re familiar with the work I do, you’ve already started using the vibrations of Unconditional Love to transform the limiting beliefs that you learned in childhood. I’m talking about the ones your Inner Critic is oh-so-ready to yammer about when you least expect it. Let’s assume you’re far enough along in your spiritual reawakening to know there are no limits to how you express your Divine Light. Each one of us will do it differently, so you also know you don’t have to be like everyone else. At least, you know that intellectually. Emotionally might be a whole other dynamic when you lose sight of your emotional why. Still, you’re ready to experience new emotional freedom. Enter the tricky stage of your spiritual reawakening. When you get your Divine Soul purpose mixed up with your Divine Soul mission, that non-clarity becomes a breeding ground for your ego-intellect and Inner Critic to take over. Limiting thoughts and ideas about WHO you’ve come to be and WHAT you’ve come to do become your reality. Your Divine Soul tugs at your ego-intellect to come back home to your Heart of hearts so you can remember and fulfill your Divine Soul purpose and mission. Meanwhile, your human ego-intellect hangs onto its interpretation of reality like a stubborn child at the grocery story who digs in her heels and screams bloody murder when Mamma won’t give her what she wants. You end up going in circles and manifesting varying degrees of confusion. Double no bueno! In general, we ALL have a similar Divine Soul purpose. We can’t even come into the human experience without it. Keep in mind, we know in advance that we’re coming into a human dimension that’s populated with the density of fear. Our general Divine Soul purpose is to learn to use and express Divine Light’s Unconditional Love even in the face of it. Your personal Divine Soul purpose is all about the learning curve of HOW… and remembering your WHO. How you express the Light of your Divine Soul. How you speak your Truth. How you play your part in the greater whole. How you use the power of Divine Light’s vibrations of Unconditional Love. How you transform limiting thoughts and beliefs about yourself, as well as the world you live in. How you do all that is part of WHO you’ve come to be. How you express yourself—and through which roles—comes down to free choice. Don’t turn them into a mission when they’re not. Don’t make the roles your personal identity. You haven’t come to be a writer. Or an entrepreneur. Or teacher. Or artist. Or guru. Or mother. Or Reiki Master. Or any other role within the society. The roles are simply vehicles through which you feel like expressing your Divine Soul purpose. Don’t let them define you because you’re so much more! You came to be YOU in the deepest, truest sense of the word. You came to express the Light of your Unconditional Love—fully, freely, joyfully, and with no inhibitions. The more you remember who you are—an infinite Divine Soul having a concrete human experience—the more you’ll be able to see the Divine Soul in others. This is big! You’ll see them BEYOND their fears and the Social Masks of their human conditioning. Without saying a single word, you’ll give them the gift that ALL humans crave the most from others: Unconditional Love and respect. Whether they understand what you’re doing right away away or not, doesn’t matter. You’ll be planting seeds and the vibrations you emanate will be wake up calls to remember how they, too, are Unconditional Love incarnated into the human form. They’ll soon learn to respond in kind. The more others see the Divine Soul of you, the easier it is for you to remember on deeper levels. Then you express your Unconditional Love even more freely towards others. That’s how circles of Unconditional Love that flow between you and others grow stronger and deeper. I encourage you to use your free will to make that choice! On the subject of free will, it’s an amazing gift we’ve all been given. Sure, it comes with responsibility. But it’s also what gives you the hutzpah to stand up against your human conditioning… and discover your Divine Soul purpose by experimenting through trial and error. Keep in mind, any limits you experience are the ones you agreed to temporarily live under. Which means you can choose to transform them into emotional freedom at any given moment. You’re supposed to transform them. It’s part of your personal Divine Soul purpose. When you do, you not only transform the restriction of that limiting belief in your own life… you also help to transform it in your own family. That ripples out to the collective consciousness of all humanity. Here’s an example of the ripple effect in action. Let’s look back in history at voting rights for women… and how it connects to each person’s Divine Soul purpose. Back in the day, limitations placed on who could and could not vote were strict. Yet, underneath surface appearances, the collective consciousness was shifting. The initial spark of the idea was born on a Divine Soul level. The first Divine Soul to propose it to other Divine Souls is lost in history. That’s an unimportant fact because Divine Souls don’t give a rip about credit. For most, a woman’s right to vote wasn’t a Divine Soul mission. Rather, voting was a vehicle through which they could learn to shine their Light and let their voice be heard. It was in alignment with their Divine Soul purpose of HOW and WHO. All it took was one person at a time to choose women’s voting rights as the HOW of their personal Divine Soul purpose. When enough individual people shifted their point of view, change burst forth. In a short space of time, public opinion followed and new laws were put into affect. 1916: Some (but not all) provinces in Canada gave women the right to vote. 1917: In America, women were still generally considered inferior to men and incapable of making a rational voting decision. 1918: British women over 30 gained the right to vote. 1919: Dutch women gained the right to vote. 1920: American women gained the right. Even though it took another forty-five years, that domino effect paved the way for the American vote to be extended also to racial minorities in 1965. Yes, we have a long road in front of us on many fronts. Overturning the prejudices of skin color—and the base human fear of “different”—is an issue that’s still in process today. But we can always take inspiration from those courageous women who started the ball of change rolling—and the few men who were awakened enough to pay attention to what the women were saying. They kept their focus on how they wanted to express their Divine Soul purposes despite all odds. For every woman who marched in the Suffragette parade, there were five more who affected change behind the scenes… and ten more who changed their attitudes because of it. It rippled out into the world. The vibe of each person’s point of view as it changed and evolved added to the collective shift in consciousness. Each woman and man had their own role to play in gaining the woman’s right to vote. Just like you do on any given shift in human consciousness. As their interior world evolved, so did their outer actions. The evolution wasn’t linear. All parts were happening simultaneously. You can trace the same jumps in the collective consciousness on all major issues of fear and limitation that humanity has faced. And guess what? You can also see similar patterns of EVOLUTIONARY GROWTH in your own consciousness as your ego-intellect takes on board new ideas. Back to your Divine Soul purpose in the here and now. An inherent part of your personal Divine Soul purpose is to start locally within your own house and let it ripple out globally. Choose an issue that’s important to you. It can be anything from creating a peaceful space for authentic communication in a cantankerous family… to playing a part in change on a global scale. You’ll find on any given issue, you’re actively participating in one of those evolutionary steps that the women did for their voting rights. Are you the friction… the twig… a log… oxygen… or a voice? As a New Thought Thinker, you have a deeper understanding of the power of your prayer-thoughts than most. Even if no one else recognizes what you do, it still makes you a very important player in humanity’s current ascension. In fact, some of my dearest friends only have a vague idea of the work I do. They haven’t expressed a strong interest, so when it does come up in conversation, it’s only in passing. Interestingly enough, though, their language and perceptions have evolved over time simply by being exposed to more refined vibrations of Unconditional Love. In short, your ego-intellect might want the applause of being a principle voice. But if everyone tries to be the voice, all you get is a lot of screaming and not much change. Plus, seeking applause and recognition will take you off your Divine Soul purposes’s track faster than a hurricane blowing against a small moped. Since your personal Divine Soul purpose feeds into your Divine Soul mission, let these be the guidelines to all you do. Live lightly with your Divine Soul knowing leading the way so you learn to experience confidence and peace in all situations. The passion (or pure pleasure) behind authentic self-expression will naturally follow. Transform the density of fear and strife within you as they came to your awareness. Do it without self-judgment, and the transformations to new emotional freedoms will happen faster. Make a positive difference in the ascension that humankind is experiencing. Follow your Divine Soul guidance on your best “how”. Because we’re all in this together, you automatically make a positive difference every time you transform the fears and limitations of your own Inner Critic. Even though that ripples out into the world in ways you’ll never know, it DOES make a difference. In fact, it makes a bigger difference than if you set up a YouTube channel to preach about it. We learn more by watching the people we love in action than we do by listening to words. That’s why children will “do as you do” more than “do as you say”. If you’re a parent, you know this all too well. Once you’ve got a handle on your Divine Soul purpose—and the head-trips of your Inner Critic are no longer an active part of your life—you’re ready to remember your core Divine Soul mission. Think of it as a concrete manifestation or theme of your Divine Soul purpose. Where your Divine Soul purpose is experiential, your Divine Soul mission is the concrete WHAT. In some way—either directly or indirectly—it will contribute to the ascension in consciousness that humankind is currently experiencing. You wrote your Divine Soul mission in your Divine Heart of hearts before you were born into your human body. Chances are, it’s going to take you a while to get to those memories. Limiting thoughts, beliefs, and world-views camouflage the doorway. Your ego-intellect has been trained to want to stay in control of its known world. Even though a part of you wants to remember, there’s another part that doesn’t. Your ego-intellect isn’t particularly enamored with the idea of a vast unknown, and will struggle before it’s willing to let go. Step 1: Send the head-trips of your Inner Critic on permanent vacation. Embrace the fears and doubts you learned in the past. The more you do that, the deeper you spiral into your Divine Soul Knowing. The memories of your Divine Soul mission unfold over time. The more you follow the vibrations of your Divine Soul’s “yes” that I talk about in the online course, MEET THE INFINITE YOU, the clearer the memories become. You assist the process of remembering by setting interim Divine Soul missions based on your Divine Soul guidance. Trust the process. Remain unattached so the memory of your original Divine Soul mission can rise to the surface. When it does, you’ll recognize it beyond the shadow of your Inner Critic’s doubt. What end result do I want to create and manifest with my Divine Light? Make it your transitional life theme. Enjoy the trial and error as you grow into it. Those mini-missions will consistently take you towards the next level of information of your original Divine Soul mission. Especially if you remember the fourth essential to living a fulfilling life: Your all-important WHY. And for heaven’s sake, don’t confuse your passionate expressions with your Divine Soul mission! If you think you might be, read that article! For an example of how a Divine Soul purpose and Divine Soul mission intertwine, take a look at the protagonist, Rah, in my spiritual science fiction novel, WAYMAKERS. Rah’s core Divine Soul mission—the reason she came to the human experience—is to awaken the other 9,000 Waymakers who’ve come from the Origin Dimension of all creation. Together, they will be the catalyst to humankind’s ascension to new dimensions of living Unconditional Love here on earth. She has a long way to go before she remembers WHO she is and WHAT she came to do. At the beginning of the story, even the HOW of her self-expression is way off track. When Rah’s missing jewelry box mysteriously reappears against all logical explanation, she sets out to find answers. This becomes her short term Divine Soul mission. It’s still egocentric, but it’s a vehicle through which Rah’s Divine Soul can guide her human ego-intellect in how to open itself back up to deeper truths. This not only makes an impact on Rah’s earth experience, it ripples out to touch her entire ensemble of friends. In the process, the expression of Rah’s Divine Soul purpose grows as she learns more about how the vibrations of Unconditional Love flow. Her playing field expands out from her improvisational theater to a bigger playing field of life itself. I won’t say any more because I don’t want ruin the WAYMAKERS story for you in case you haven’t read it, yet. Suffice it to say, you can see the dynamics of how a Divine Soul purpose and Divine Soul mission intertwine for Rah as well as each member of her ensemble cast of friends. Each at different stages, they’re unique in their reawakening to the endless possibilities of how they choose to express their Divine Light. Start first with your Divine Soul purpose: HOW you express yourself and remembering WHO you’ve come to be. Embrace the trial and error that brings new discoveries. Be aware of the traps of confusing your passion with your Divine Soul mission. Use the vibrations of Unconditional Love to transform limiting thoughts and beliefs as they come up. The Basic Activation of Divine Light Vibrations guided meditation V2.o was made for this. The mini-course that comes with it shows you how step-by-step. Trust that you’ll grow into recognizing your core Divine Soul mission: WHAT you originally came to do. Try not to “push the river” on this. Keep your mind open with curiosity so your Divine Soul Knowing becomes the driver in your life. Use the tips in this article. Make it personal and discover WHO YOU CAME TO BE. 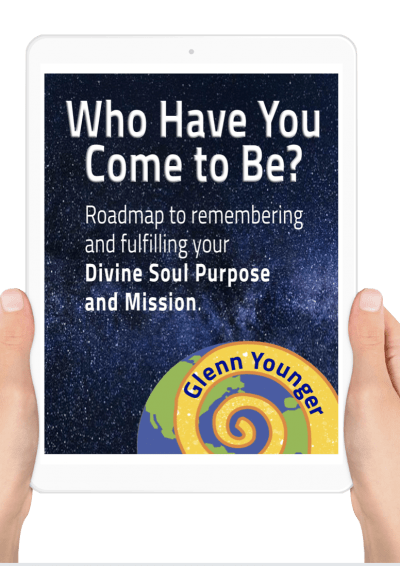 Download the FREE roadmap to remembering and fulfilling your Divine Soul purpose and mission. What’s the one thing that excites you the most about living your Divine Soul purpose? Then share your own answer in the comments below.